Before you start searching for a property, you need to work out how much the move is likely to cost and see what kind of mortgage deposit you can afford. Our professional Financial Consultants can help you calculate the costs involved in the house buying process. Click to see the full buying process in England and Wales, or Scotland. It is advisable to apply for a Decision in Principle from a mortgage lender and find a solicitor before you make an offer. Your Move can help you with both of these services. Just contact your local branch for more information. Or, click to see the full buying process in England and Wales, or Scotland. Every purchase is different, and your position and the seller’s position needs to be taken into consideration before this question can be answered accurately. If the seller has already vacated the property and you have already secured a mortgage, exchange of contracts and completion can happen relatively quickly. However, if you need a mortgage and the seller is still in the property, the exchange of contracts normally takes between 4 and 6 weeks, the completion takes between 2 and 4 weeks. So in total you should expect up to 10 weeks to complete the purchase. Please note that in Scotland conclusion of missives normally takes between 6 and 8 weeks. ‘Conveyancing’ sounds like boring legal stuff, but it’s everything that needs to happen to make the property officially yours. It can be a confusing process and you need a solicitor to make it happen. Your Move can introduce you to a solicitor and offer a no sale no fee conveyancing service with a guaranteed fixed price to keep everything easy (this excludes disbursements). Contact your local branch to receive an accurate quote for how much this will cost. When you buy a property in the UK over a certain price you have to pay Stamp Duty Land Tax (SDLT). In December 2014 the way stamp duty is calculated changed and now you only pay the rate of tax on the part of the property price within each tax band – like income tax. For further details visit https://www.gov.uk/stamp-duty-land-tax-rates. From April 2015 different rates apply in Scotland as SDLT is replaced by the Land and Building Transaction Tax (LBTT). From April 2016 buy to let and second home buyers have to pay a 3% surcharge on each stamp duty band. We recommend that you arrange your own survey whenever you purchase a property. It allows you to see the current condition of the property, reducing the chance of nasty surprises further down the line. There are three main types of surveys with varying costs and your local Your Move branch can introduce you to a local surveyor from our sister company e.surv Chartered Surveyors. To read more about surveys, click here. In Scotland there will already be a survey as part of the Home Report which is available to you. The deposit is paid to the seller’s solicitor, usually upon exchange of contracts. This is not applicable in Scotland. The mortgage will be requested from the lender by your solicitor. It usually takes around 4-5 working days for the lender to release the money being loaned. Your solicitor will take this time into account when advising you of the earliest possible completion date. We recommend organising home and contents insurance shortly before you sign the contract. 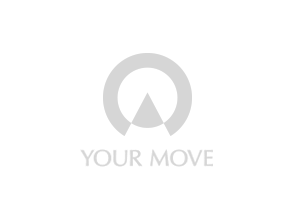 Your Move has an Insurance Services department who offer a range of competitive products from a panel of lenders. To keep things easy we’ll be in contact with you to discuss your needs. Don’t forget, you need all relevant insurance policies to begin from the exchange of contract date. You should also consider organising mortgage protection so that your family isn’t pressured to meet your mortgage payments in the worst case scenario of illness or death. This should be arranged when you complete you mortgage application. Your solicitor will perform searches of the Land Registry and Local Authority information. They will be checking for planning history, and any potential developments around roads, drainage and mining near the property. After the sale is agreed, the seller’s solicitor will draft a contract. Your solicitor will confirm the details of the property and perform searches. At the same time, your mortgage lender will need to conduct a mortgage valuation and send you a mortgage offer. Once all of this is complete, you will be ready to sign. Please note this is different in Scotland, refer to the Scottish buying process. Until both solicitors receive signed contracts from the seller and the buyer, either party can pull out at any time and for any reason without cost or penalty until the contracts are exchanged. Please note this is different in Scotland, refer to the Scottish buying process. Once both parties have signed the contracts then your solicitor and the seller’s solicitor will consult both parties and agree a completion date. If you require a mortgage then after the contracts are signed, the mortgage will be requested from the lender by your solicitor. The mortgage lender will let your solicitor know when the funds will be released, then your solicitor and the seller’s solicitor will consult both parties and agree a completion date. Please note this is different in Scotland, refer to the Scottish buying process. Once the seller's solicitor has confirmed receipt of funds to confirm the transaction has completed, the estate agent will be able to confirm where and when you may collect the keys. Please note this is different in Scotland, refer to the Scottish buying process.